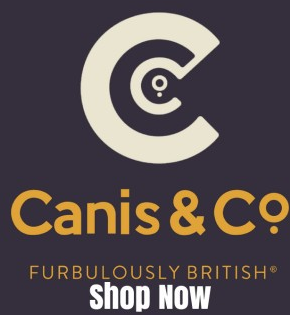 Canis & Co is a cold pressed dog food which is the first cold pressed dog food to be made in the UK, they believe that your four legged friend deserves natural dog food full of natural ingredients. The generic name Canis means "dog" in Latin. The term "canine" comes from the adjective form, caninus ("of the dog"), from which the term canine tooth is also derived. Canis & Co pet food. It’s the closest dog food to a natural balanced diet you can provide for your dog and gives them all the great nutrients they need to stay healthy and thrive. How do we know this? Well, Canis & Co only use the finest raw ingredients before they’re Cold Pressed into the terrifically tasty bites your dog deserves. Canis & Co Dog Food is as close to a dog’s natural diet as you can get! Because of the cold pressing technique used to make Canis & Co dog food it is also extremely palatable without the addition of artificial appetizers ..this is why pet food guru's all over the UK are recommending Canis Dog Food! Canis & Co Dog Food….. The concept behind Canis & Co is simple. All their foods have high meat content which is essential for your dog’s good health. First, they take some great quality ingredients and gently mix them together. Then add cold pressed oils, herbs, vegetables and other lovely healthy stuff. Next, and this is a really important bit, the ingredients are pressed together for less than a second at a very low temperature. The result? A nugget full of natural goodness that’s ready to eat. Perfect!